What is more rich than a pair of Italian style wingtip dress shoes. 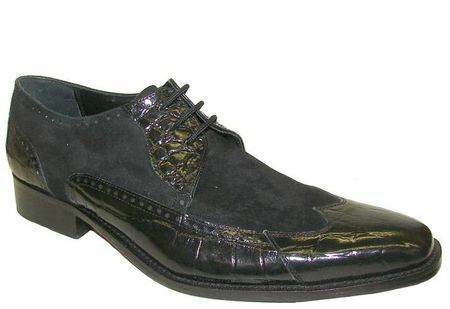 A pair of Italian style dress shoes made of crocodile print leather and suede calfskin by Giorgio Brutini. These all black wingtips have the head turning style that Italian style mens shoes are known for and since they are made by Giorgio Brutini, they won't empty your wallet either. Available only in a medium width.